Shrewsbury Golf Club’s assistant professional has won this years’ PGA order of merit for Shropshire and Herefordshire. Josh won with 723 accumulated points over 12 events to beat Phil Hinton to the top spot. 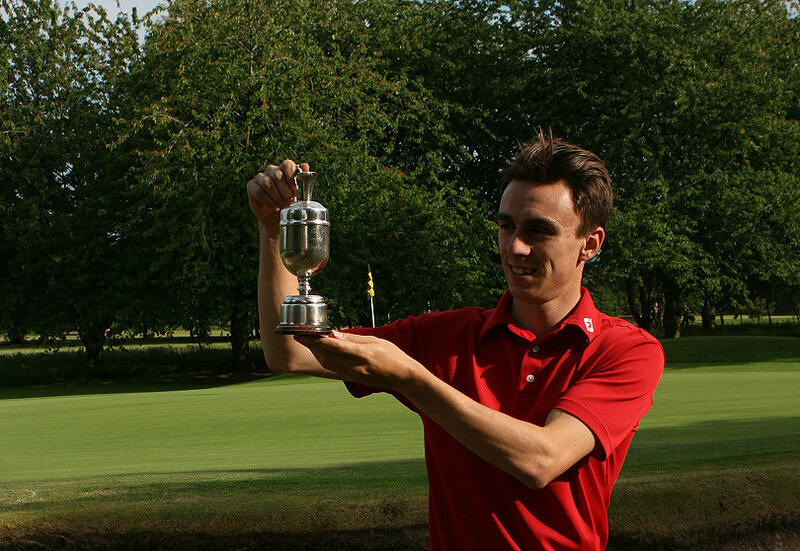 Josh wins the Leonard trophy, named after Neville Leonard of Telford Copper cylinders who sponsor the event. Josh Charnock, Assistant Professional at Shrewsbury Golf Club has won this year’s PGA order of merit. The competition is played as part of the Winter Alliance over a series of twelve events at different courses from November to May. The professionals playing accumulate points at each event they play depending on their position at each event based on their individual scores. Fifteen to twenty regional professionals play in the event over the winter. Josh Charnock scooped the Leonard trophy as the winner of the PGA Order of Merit following a win at Hawkstone Park supported by second place at both Kington and Bridgnorth to give him 723 points. “I’m delighted to have won the competition, it’s the first time I have won it and have been trying for a couple of years. The win at Hawkstone contributed significantly to the points status leaving me in first place for the final match at The Wergs ahead of Phil Hinton in second place. I knew I had to better his score on the day to take the trophy,” said Josh. “I’d like to thank Paul Hinton who organises and runs the event and Neville Leonard who sponsors the event. I’m looking forward to defending my title next year,” concluded Josh.